As we move into the warmer/hotter portions of the season, many things are going to change in the green industry. 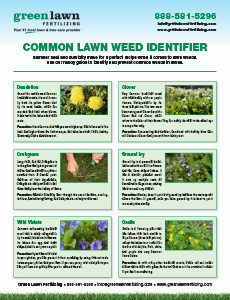 We are going to start seeing an abundance of different broadleaf weeds, plenty of grassy weeds, lawn insects, and finally lawn fungus/disease. 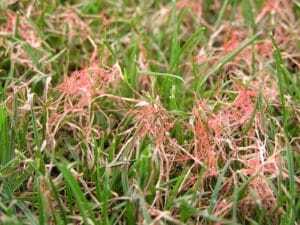 This week we are going to dive into the most common, and one of the first lawn diseases that we encounter, and which we are starting to see ramp up, Red Thread. Red thread causes patches that are reddish-brown to pinkish in color and 2-8 inches in diameter, up to 2 feet wide, but generally circular. Pink patch and dollar spot, which are somewhat similar, generally cause a gelatinous mass of pink mycelium (cottony web) to adorn the blades. During some early hours of the day, mycelium can be found on red thread activity as well. Red thread thrives in temperatures between 45-85 degrees, and in locations that are prone to slow growth. It also occurs in areas that experience more than 10 hours a day of foliar wetness for consecutive days. Meaning areas that stay consistently wet/moist for more than 10 hours a day. As with a lot of lawn fungus/disease, heat or humidity coupled with precipitation or moisture makes the fungal activity ramp up. We normally start to see red thread become prevalent during the hot/humid days following intense storms, especially in the late spring/early summer when we are still having cooler evenings which will help prevent the turf from being able to dry out overnight. Some other factors of red thread activity are poor turf nutrition, unbalanced or low pH levels, and lack of nitrogen. 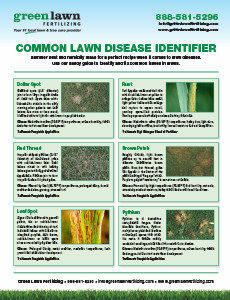 Red thread is mainly a cosmetic/aesthetic disease, making it unpleasant to view on turf. The tips of the infected blades will produce a red or pink sclerotia, or hardened form of mycelium. 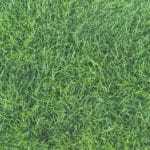 Generally this disease will not harm the affected turf to a point where it will die out, unless environmental factors such as shade, drainage or a combination of factors prohibit the lawn from naturally rectifying itself. That being said, there are some more severe cases where a chemical control (fungicide) is needed as a curative to the disease. Green Lawn’s recommendation to our customers with red thread, is to allow the nitrogen content in our fertilizers help “grow out” the activity, and to remove the infected portion of the blades by mowing. Remember, you do not want to remove too much of the blade off when mowing, never more than 1/3 of the blade. 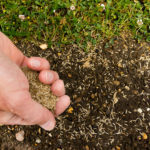 When mowing off the infected turf, it is best to bag your clippings for 2-3 cuts to help ensure that the fungus is not spread throughout the unaffected areas of the lawn. 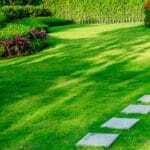 If more nitrogen needs to be applied to the lawn, that is also one of the first steps that we would engage in, to add this nutrient which promotes growth. 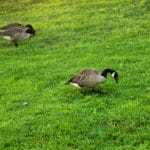 Since more destructive and problem causing diseases are looming on the horizon, it is important for customers to think about adding on a preventative fungicide program to their lawn care package. This will help prevent the chances of red thread, or some more threatening pathogens from disrupting your chances at a beautiful, healthy, green lawn! Call and inquire today about our preventative fungicide program. Call before June 30, 2014 and get $15 off each application.